Author Ann Gadzikowski is known for her professional development books for early childhood educators, including Story Dictation: A Guide for Early Childhood Professionals and Challenging Exceptionally Bright Children in Early Childhood Classrooms. Her newest book, Creating a Beautiful Mess, uses her experiences in a whole new way. Having spent years fielding questions from parents about play and development, Ann was ready to bring the answers directly to parents. 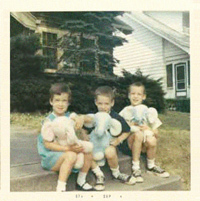 With a sense of nostalgia and positivity, Ann recently chatted with us about her newest book . . . Enjoy! Can you share a brief overview of your professional life? I’ve worn many different hats over the course of my career— I've been a teacher, a school director, a curriculum developer, a writer—but every role I’ve played has been directly connected to young children. I am fascinated by how children think and the way they view the world. I admit I often enjoy the company and conversations of children more than adults. Currently I serve as the Early Childhood Coordinator at the Center for Talent Development at Northwestern University. My primary role is directing the summer Leapfrog program for children in PreK through grade 3. I love my job and the opportunities I have for creating exciting hands-on learning experiences for children in our Leapfrog classrooms. 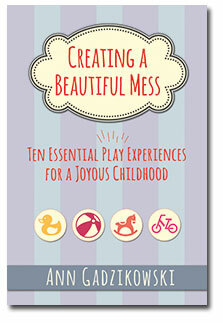 What inspired you to write your new book Creating a Beautiful Mess: Ten Essential Play Experiences for a Joyous Childhood? This book was inspired by my conversations with parents of the children in the summer Leapfrog program. 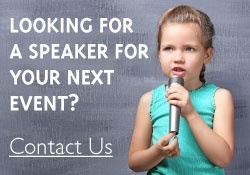 I was leading a series of parent seminars about how to nurture your child’s passions, and what I found is that most parents already know what their children are passionate about. What parents were most concerned about, however, was whether their children were leading balanced, healthy lives. The concerns they expressed were often around issues of technology. They wondered what their children were missing when they were playing computer games or using an iPad. I wrote Creating a Beautiful Mess to offer parents some guidance about what kinds of play experiences make up a balanced, healthy and joyous childhood. How did you decide which play experiences are “essential”? I tried to put myself in a child’s shoes and imagine how a child understands and experiences play. A child thinks in terms of actions, things to do, so the ten essential experiences in the book all described using active verbs—for example, building with blocks or running around like crazy. Which play experience in the book did you find most interesting to research and write about? I found all the play experiences fascinating, but the one that surprised me most was the chapter called “Finding and Collecting Things.” I remembered how much I enjoyed collecting things when I was a child—rocks and shells, ticket stubs, souvenirs—and it seemed to me that children don’t collect things as much as they did when I was young. So I researched whether that was true or not, are children really not collecting things anymore? I found some evidence that this is partly true, that children today are not as interested in collecting things as a hobby, probably because now that we have the internet, it’s too easy to find rare or unusual items, like baseball cards or snow globes. Yet most children still have a strong desire to search for treasure and find something that is really special and unique that they can put on a shelf or in a box. I hope parents will enjoy reading the chapter on collecting things in Creating a Beautiful Mess and that they will be inspired to help their children find something to collect that brings them joy. After all, one of the reasons I wrote the book was to help parents make connections between their own happy memories of play as children and the wonderful times they can enjoy with their own children now. My goal is to reassure parents that play is still important, and that children still love to play and need a variety of play experiences every day. Learn more and see a full list of titles by Ann Gadzikowski.